Inbox Zero – A Myth or Effective Email Management Method? It may sound a bit like a secret code word, but Inbox Zero is far more than a cool name. Inbox zero has a pretty straightforward definition. It’s the act of maintaining an inbox without a single email in it. Some consider it to be the “holy grail” of email management because of its ideology and it seemingly causes ease of mind. Each email has been filed away or taken care of, through a variety of management methods. Inbox zero is touted as the ultimate way to declutter your electronic communications. When there isn’t a single email in your inbox, a huge weight feels like it has been lifted from your shoulders. There isn’t any anxiety about responding to an email. No more letting so many “I’ll-get-to-them-later” messages build, you never actually get to them later. The theory is that by keeping your inbox at zero, you’re constantly at tabula rasa or a “blank slate”. You can immediately deal with any email that arrives in your inbox, which reduces the overall amount of time you spend on electronic communications. You can then focus your energies on the important tasks at hand. 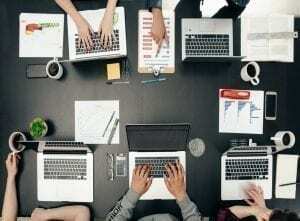 It is supposed to be a way to increase productivity and efficiency. While this is a great strategy, it really isn’t a practical way to control your inbox. At some point, constantly maintaining inbox zero becomes more of a hassle than a helper. It becomes a near obsession to ensure a single email doesn’t sit in your inbox. Quite frankly, it’s downright idealistic. In the end, it is not a constructive use of your time to maintain inbox zero 100% of the time. There are, however, quite a few methods to help drastically reduce the number of emails currently in your inbox. Implement these email management tips, to lower the stress of your emails and increase daily productivity. As silly as it sounds, actually penning in time to go through your inbox reduces the amount of time you spend on emails throughout the day. Depending on the number of emails you receive per-day, give yourself an appropriate window of time to respond, label, or delete any emails first thing in the morning. Repeat this action around the lunch hour, and at the end of your work day. These time slots are allocated towards your email, so you can maintain your sanity in between times. Stick to them, and don’t let other things impinge on that time. By setting aside a specific time to clear your inbox, you won’t be distracted by the ever-growing number of emails throughout the day. Instead, your clear inbox at the beginning of the day provides a blank slate. The repeated action throughout the day is a great way to maintain that same feeling of clarity. Your mind will feel as clear as your inbox because you don’t have scads of emails looming over your head. Answer each email right away. You’ve already taken the time to open and read the email, so why not finish the job? It takes more time to come back to that email and answer it at a later time because you must re-read the email, and then craft an appropriate response. Rather, change your habits to respond to “easy” emails as soon as they enter your inbox. Since you’ve already taken care of your inbox at specific times throughout the day, each new email that comes in can be dealt with in the easiest way for you, at any given time. Permitting emails to build up is a bad habit. This often leads you to neglect your inbox, leading to the crazy backlog you more than likely have right now. Answering emails as they come in, rather than setting them aside paves the path towards a far more manageable inbox. Of course, there are lengthy emails that require more than the specified time you set aside. Label them for a later response, and set aside additional time to answer that email. It’s important to focus on the types of emails you receive, so you can choose the best way to deal with them as they enter your inbox. We at Mailbird know the hussle of getting to all of your emails no matter what length. That’s why we have implemented a lot of features to make it easier to deal with your email load. Features like quick compose, quick reply, keyboard shortcuts, clean inline reply to mention only a few of them. Need a great tool to help you deal with your emails? Organization! Say it again! Organization! Maintaining labels and folders is essential to your success in managing your inbox. Don’t treat your inbox as a cyberspace blackhole. Once you feel the pull of a few emails being left in your inbox, it’s easy to leave everything there. For all the emails you don’t know what to “do” with, but need to keep, set up a filing system. These can range from a CC from a coworker to a company party save-the-date. If you’re heading up a big project, create a folder with the name of it. Send any emails regarding that project to your newly created folder. Repeat this action with other easily identifiable threads of emails. From there, label and organize emails in a method that makes the most sense to you. 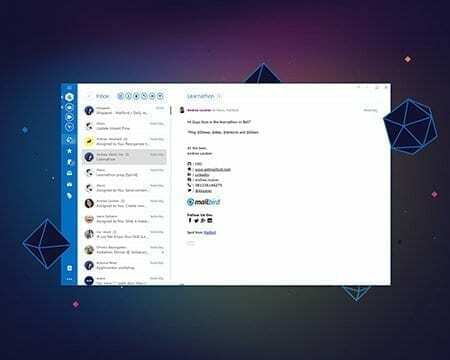 You’re ultimately looking to create folders for important emails, and removing any unnecessary clutter. However you choose to label your emails, make sure you place them in an appropriate folder, once you’ve taken any required actions. 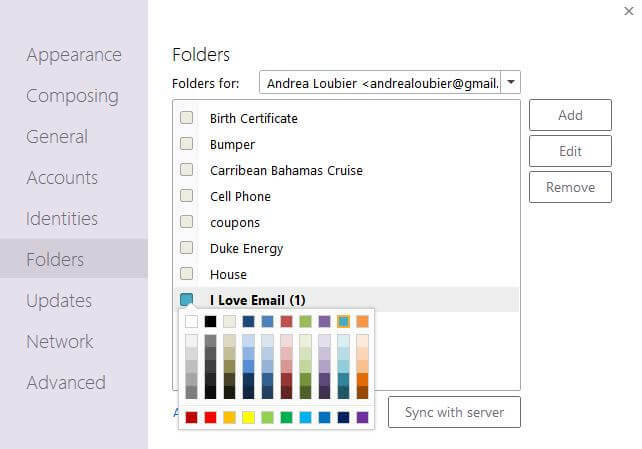 In Mailbird it is very simple to create folders and add lables to your emails. Once you label your emails, they will also be in the corresponding folder, that you have created. You can customise and choose the color of each label to make it even more organised. Do you need help setting up folders and labels? Check out our Knowledge Base article that answers all of your questions. How many newsletters, sales, or random emails do you receive from blogs and sites you’ve signed up for a subscription? More than likely, a lot. It’s easy to just delete them and move on, but they’ll continue bombarding your inbox over time. Maybe a clothing boutique only sends something once-a-week, but when was the last time you actually read their newsletter? The chances are high the answer is never, and you only signed up for a coupon offer or other deal. Determine which email subscriptions you actually read, and mass unsubscribe from the rest. This process can be done slowly over time, as the emails arise, or all at once. Either way, the random clutter in your inbox will be significantly reduced by performing this simple task. In order to help mitigate any future communications from a blog or website you’ve signed up for, unsubscribe from their list immediately after receiving your coupon code or other enticing deal. This will stop the flood from ever occurring in the first place. Would it take too long to unsubscribe?  We have implemented a great app for that in Mailbird – Unroll.me. 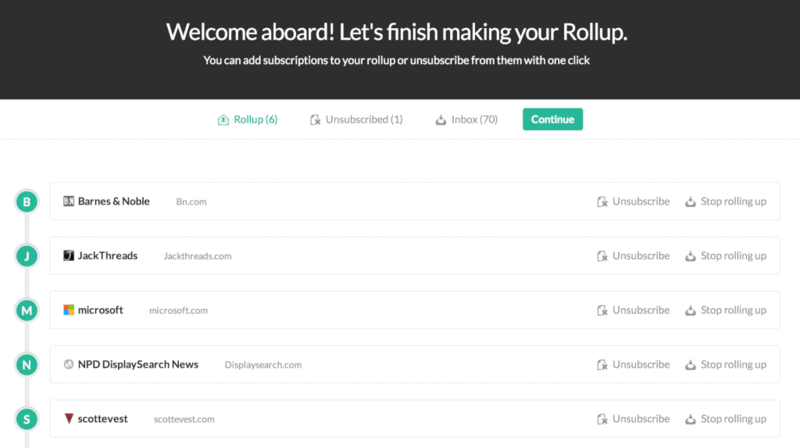 This fantatsic app helps you unsubscribe from unwanted emails and also bundles other emails like newsletters, coupons, and other ad-mails into one “Rollup” email. Instead of receiving 10 individual emails you will only need to open one. It’s definitely worth a try. You can simply activate Unroll.me in your Mailbird App store. This may seem like cheating, but it can be a very effective use of your time. At the end of the day, use an email scheduler to hold off on emails until the morning–or in between your scheduled email time. You’ll finish the day feeling like you’ve maintained a clean inbox. Furthermore, you will not receive any notifications until you visit your mail application the next day or whenever you have scheduled them to come back to your inbox. In Mailbird this very handy feature is calles Snooze. You can snooze any email in your inbox by simply right-clicking the email. Choose the date and time when you would like that email to return it to your inbox. We have highlighted more ways on how to effectively use Snooze in our latest blog post: “Snooze your way to Inbox Zero”. Use snooze as a strategic tool to maximize the amount of time you focus on each task at hand–and not your email. If you have a tight deadline, snooze all unrelated emails for a set period of time, and put all of your energies into the project and the emails specifically related to it. Once complete, you can focus on any emails you didn’t previously have time to answer. This allows you to fully put your attention to a current task and makes you more productive overall. All of these hints and tips are great ways to work towards the mythological inbox zero. It is clear, though, that constantly attempting to maintain inbox zero is a fruitless effort. Really and truly isn’t an effective email management method. The methods that help reach this fictional holy grail, however, are amazing ways to manage your email. The main takeaways are to focus on the methods that reduce the clutter and always remember to organize. Be happy with your inbox, and breathe a sigh of relief. How many times do you reach Inbox Zero, if ever? And how do you do it? Let us know in the comment section below. 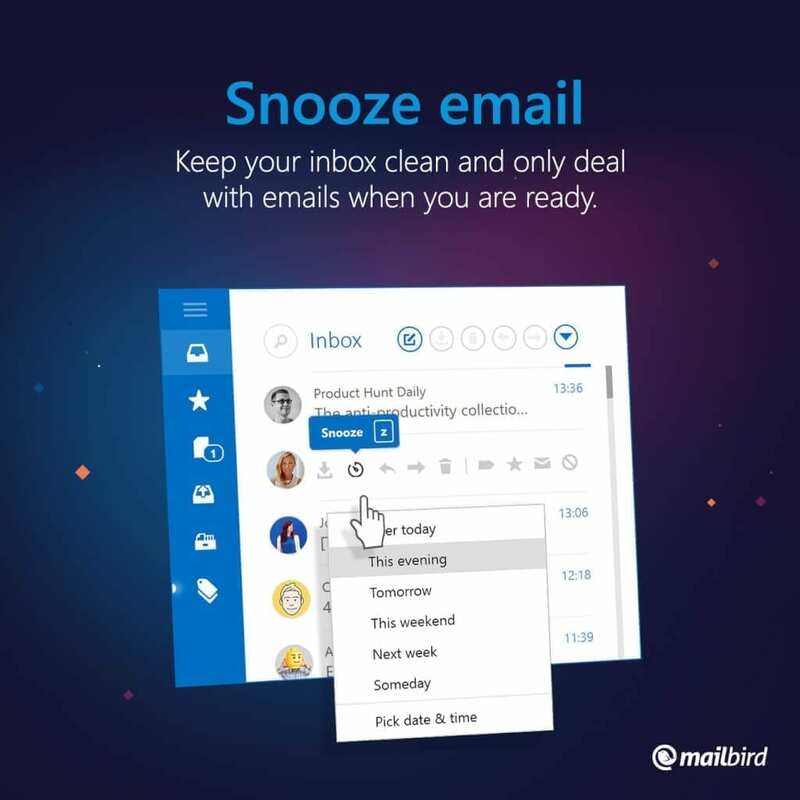 Get closer to reaching Inbox Zero with Mailbird. 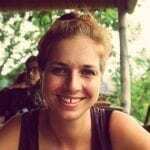 One thought on "Inbox Zero – A Myth or Effective Email Management Method?" Not interested in Mailbird until that happens.